Mega Pest Control / News / Pest Exterminator Milton – How to make a wise choice? 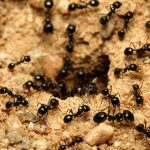 Ontario homeowners, who are confronted by pest problems, need a reliable solution to address all pest problems like ant, bed bug and flea removal, rodent removal etc. Many companies claim to be expert pest exterminator Milton service providers, but as an informed citizen you should be aware of fallacious companies who cost you hefty dollars but do not solve pest issue up to your expectations. What are the commonly found pests in Milton? If you are a citizen of Ontario, you should have come across these pests at least once in your lifetime. 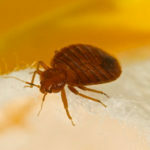 Most common among these notorious creatures include bed bugs, fleas, cockroaches, ants, wasps, spiders, rats and mice. From my personal experiences dealing with pest problems, I can tell you that DIY methods are a temporary relief to the problems. After you have tried them, you would definitely prefer a pest exterminator Milton Company just as I did. I’ll tell you why. Why would you need pest exterminator Milton services? Our First rule: “Never judge a pest control exterminator Milton by its name”. So before you nail and sign the contract, it is important to research on a company that you are interested in. Gather as much information about it from your neighborhood and friends. Getting referrals assures you that particular company has offered its services to someone you know and can be reliable. The website is one good place to find more info about the pest exterminator Milton Company. Throw any questions you may have and get all doubts cleared before you sign a contract. Look for pest exterminator Milton service providers who are licensed, insured, bonded and certified. Next, you might like to get a free estimate for your problem. Call up a few pest exterminator Milton service companies and let them know what your problem is. Discuss details about the infestations and ask questions about how they provide their services. You can ask for free estimates for your problem to compare and choose the most appropriate company that’s cost-effective. Going further in your search for the best pest exterminator Milton company, make sure it guarantees to formulate a treatment plan that adheres to the National Pest Control Association’s Approved Reference Procedure Manual. If needed, you can also request an insurance certificate. After all, you are going to spend a few hundreds of dollars on their services. In this process, it’s always good to develop the knack of differentiating between professionalism and salesmanship. While a professional pest exterminator Milton would offer economical plans, a salesperson would only be interested in your money and nothing else. It is always recommended to be present when they come for inspection of pest infestations. Have word of mouth regarding all your pest problems. Since it is going to be a mutual relationship, it is important to be fully satisfied with your pest exterminator Milton Company before you make your decision. Last but not least; ask for what kind of chemicals they are going to apply for treating your pest issues. 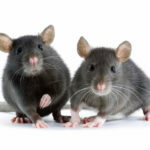 Most pest exterminator Milton services use non-toxic chemicals which are safe for kids and pests and do not disrupt environmental balance either. It is advised as first step to go for non-chemical options to avoid risks and mishaps. Reporting and documentation also play a vital role in the elimination of pests by pest exterminator Milton. This would make sure you follow-up on the services rendered to avoid future discrepancies. Ask for cost details on the services and advice to prevent future infestations. By following the pointers above, you can easily choose the best pest exterminator Milton Companies to get complete guarantee and satisfaction for pest problems. Contact Mega Pest Control on 647-549-1262 for top-notch quality services at affordable pricing for pest problems in and around Ontario.